← Hey you – wanna know a secret? After the official graduation ceremony at UNSAAC, Peru's newest economist!!! 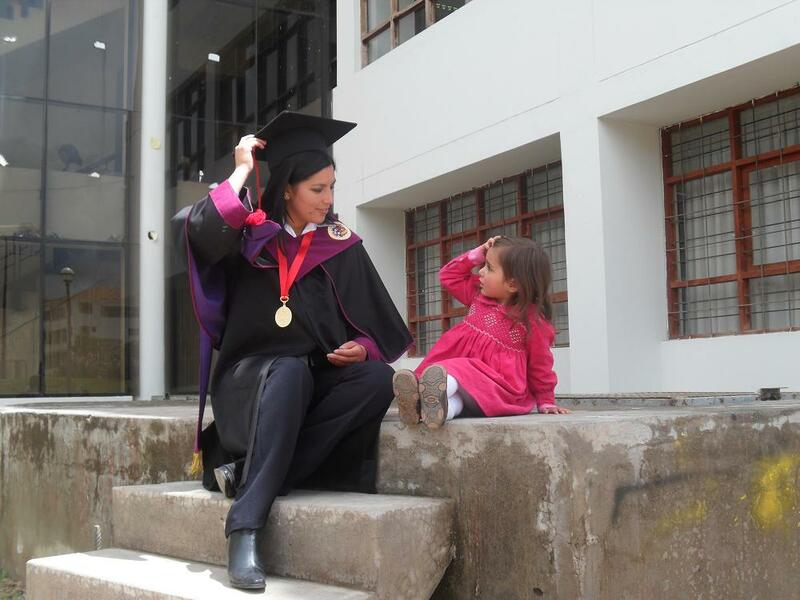 All kidding aside, I’m very proud of my mamacita, this past Friday she walked in the official graduation ceremony at the Facultad de Economia at UNSAAC, the major university here in Cuzco. Studying economics at the Universidad Nacional San Antionio Abad de Cuzco (UNSAAC) is very intense and academic, and she did great. Mamacita finished her studies nearly 3 years ago but with baby and thesis her graduation was put on the back burner so to speak. This entry was tagged Cuzco, Facultad de Economia, Universidad San Antonio Abad, UNSAAC. Bookmark the permalink. Lentejas: Si las quieres las tomas, sino la dejas. Soon there won’t be any gratuitous targets left in this world. Anyway, congrats due!